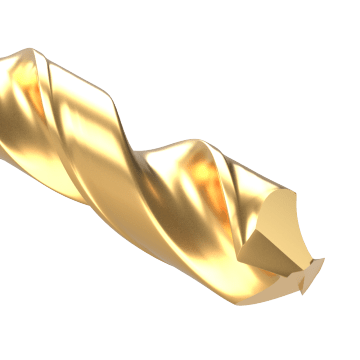 The most common drill bit length, jobbers-length bits provide a good balance of strength and accuracy for versatility in a wide range of drilling applications. 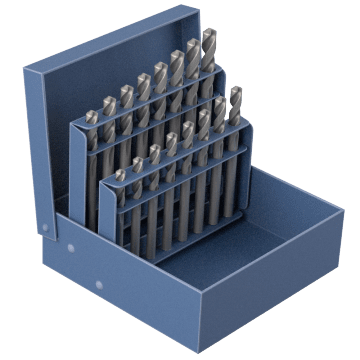 Use these general purpose high speed steel drill bits in a variety of materials, ranging from soft steels, carbon steels, wood, and plastic to nonferrous metals such as aluminum, brass, bronze, and copper. A good choice for demanding drilling applications, cobalt steel drill bits provide more wear resistance at higher speeds than high speed steel drill bits. They are suitable for drilling into hard materials such as hard steels, stainless steel, titanium alloys, and nickel alloys. 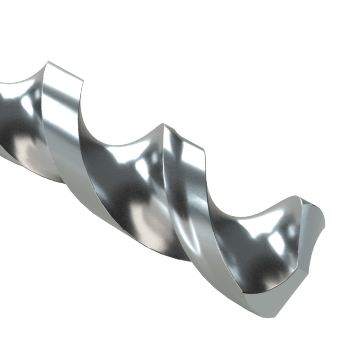 These drill bits have fast spiral flutes that help evacuate chips quickly and provide good chip clearance in short-chipping materials. 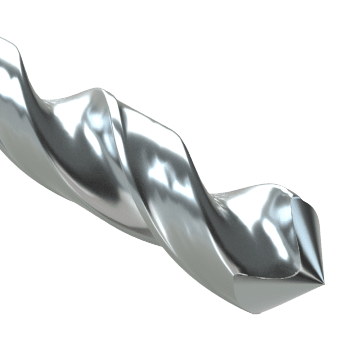 For drills moving in the non-standard direction, left-hand drill bits have cutting edges and flutes facing the opposite direction than usual. 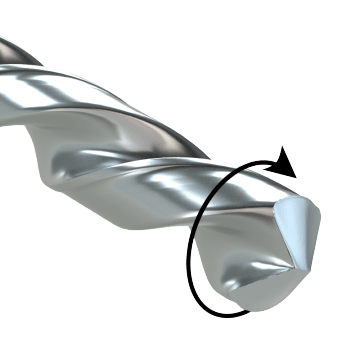 Use them in screw machine operations, applications with counterclockwise-rotating spindles, or in place of a screw extractor for removing broken bolts or screws from a workpiece. High speed steel is compatible with a range of materials and is the most common choice for general-purpose drilling applications. High speed steel tools are well-suited for drilling into soft steels, carbon steels, wood, plastic, and nonferrous metals such as aluminum, brass, bronze, and copper. 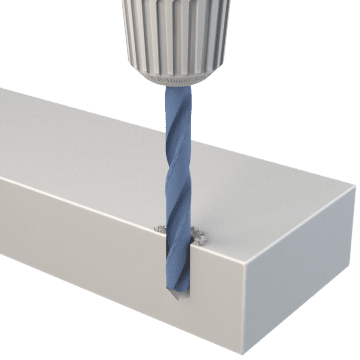 Optimized for creating holes in hard and soft plastics, these high speed steel drill bits have a 60° point that penetrates the material gradually to reduce risk of cracking and chipping the workpiece. High speed steel is compatible with a range of materials and is the most common choice for general-purpose drilling applications. 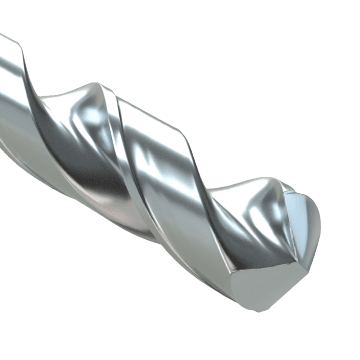 High speed steel tools are well-suited for drilling into soft steels, carbon steels, wood, plastic, and nonferrous metals such as aluminum, brass, bronze, and copper. Keep a set of jobbers-length drill bits on hand to make sure you're ready to tackle any job that pops up. Sets are available in a range of materials, sizes, and point styles to suit just about any application.